WOW Great single family home being offered for rent for the first time. 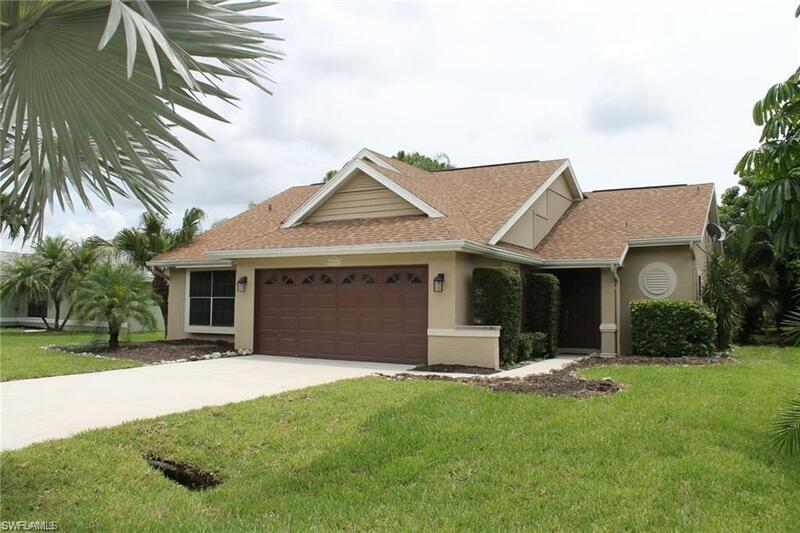 Beautiful 3 Bedroom, 2 Bath, 2 Car Garage, Pool Home with screened in Lanai surrounding Pool Deck. Spacious Rooms with Open Floor Plan, including Great Room, Dining Room and eat in kitchen. Brand NEW Stainless Steel Appliances in Kitchen. Enjoy the Fountain Lakes Lifestyle including Golf, Tennis, Community Pool, and Fitness Center. Fantastic Location, West of 41, across from COCONUT POINT, offering the BEST Shopping, Dining, and Entertainment! JUST MINUTES TO THE GULF OF MEXICO BEACHES and AIRPORT. Come live in this Fabulous Gated Community!